Aristotle characterized the elephant as вЂњthe beast which passeth all others in wit and mindвЂќ and the animal has long figured in cultural artifacts, even on continents it has never inhabited. Now Elephant provides an engaging look at the elephantвЂ™s long legacy. The image of the elephant can be found throughout world cultures as a symbol of intelligence, strength, and loyalty. 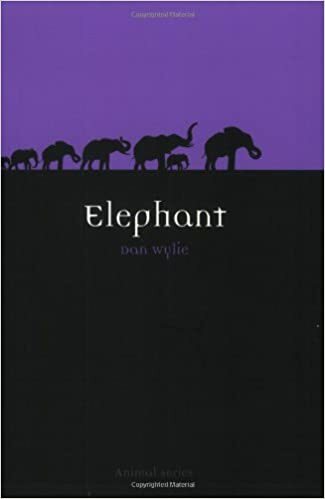 Wylie draws on a rich array of examples to document that symbolic power, ranging from symbols of the Hindu god of wisdom, Ganesh, to the beloved childrenвЂ™s works Dumbo and Babar the Elephant. Turning to the elephantвЂ™s biological history, Wylie describes the three remaining speciesвЂ”the African Bush Elephant, African Forest Elephant, and the Asian ElephantвЂ”and the controversial efforts for elephant conservation. With ivory poaching and human encroachment into the animalвЂ™s natural habitats, Wylie argues that we face a uniquely poignant conservation crisis in which elephants and humans both unsustainably consume limited natural resources. A compelling new entry in the Animal series, Elephant will be necessary for every animal loverвЂ™s bookshelf.